A life insurance policy benefit that lets the insured person use some of the policy's death benefit prior to death for purposes such as long term care. Everyday functions and activities that people usually do without help. This can include bathing, dressing, grooming, eating, bed mobility, transferring, toileting, etc. The care provided for a medical condition from which a patient is expected to recover and resume a "normal" lifestyle even though it may not be the same as before the onset of the condition. Recovered patients usually do not require the assistance of another person in performing their normal ADLs. These are ways for an individual to accept of refuse medical care. Prepared ahead of time, a health care advance directive is a written document that states how medical decisions are to be made if one loses the ability to make decisions. They can protect one's rights even if one becomes mentally or physically unable to choose or communicate wishes. Living wills and Durable Power of Attorney for Health Care are two examples of advance directives. Alzheimer's disease is the most common of the dementia disorders. It is a progressive, degenerative disease that attacks the brain and results in impaired memory, thinking and behavior causing loss of short term member, the ability to reason, the ability to care for oneself and deterioration of language skills. Symptoms include: gradual memory loss, decline in ability to perform routine tasks, disorientation in time and space, impaired judgment, changes in personality, difficulty in learning, loss of language and communication skills. A nationwide network of state and local programs that help older people plan for their life long needs. Services include information and referral for in-home services, counseling, legal services, adult day care, skilled nursing care, transportation, personal care, respite care, nutrition and meals. A policy provision in long term care insurance policy benefits that allows the insured person to make arrangements to have all or a portion of the benefits paid directly to the provider or providers of their care instead of to the insured person. A range of products and technology designed to help elders or people with disabilities lead more independent lives. Some examples include special telephones, walking aids, elevated toilet seats, communication devices, etc. These are group living arrangements (sometimes referred to as group homes) that are designed to meet the needs of people who cannot live independently, but do not require nursing home services. The federal agency that runs the Medicare, Medicaid, and Children's Health Insurance Program. This agency makes sure that the beneficiaries in these programs have access to high quality health care. These types of services include yard and house maintenance, home and appliance repair, housekeeping, meal preparation, shopping and transportation. No personal care is provided. An illness or other condition with one or more of the following characteristics: permanency, residual disability, requires rehabilitation training, or requires a long period of supervision, observation of care. Typically, it is a disease or condition that lasts over a long period of time and cannot be cured. Deterioration of intellectual ability including disorientation as to people, places or time, the impairment of short term or long term memory and/or the impairment of one's ability to reason. Cognitive impairment is diagnosed when symptoms have progressed to the extent that a person requires substantial supervision by another person. For Medicare, it is the percentage of the Medicare approved amount that one has to pay after paying the deductible for Part A and/or Part B. For other types of health insurance, it is usually a percentage of billed charges after the deductible is paid. A companion provides assistance with shopping, meal preparation, escorting, companionship and home upkeep. No personal care or nursing care is provided. CCRCs are hosing communities that provide different levels of care based on the needs of their residents from independent living apartments to skilled nursing in an affiliated nursing home. Residents move from one setting to another based on their needs, but continue to remain a part of their CCRC community. The portion of a medical expense that is the member's financial responsibility. A common cost sharing arrangement of traditional indemnity insurers under which a policyholder must pay a set amount toward covered services before the insurer is required to pay claims. Dementia is characterized by the loss of intellectual functions to the extent that a person's daily functioning is affected. It is not a disease in itself, but rather a group of symptoms which may accompany certain diseases or physical conditions. The cause ad rate of the progression of dementia vary. Some of the well known diseases that produce it include: Alzheimer's disease, Multi-infarct dementia, Huntington's disease, Pick's disease, Parkinson's disease. Dementia can be caused by degenerative diseases, vascular diseases or stroke, metabolic disorders (thyroid, liver kidney dysfunction and certain vitamin deficiencies), AIDS, drugs and alcohol and psychiatric disorders. Depression is a psychiatric disorder marked by sadness, inactivity, feelings of hopelessness and sometimes suicidal tendencies. Many severely depressed individuals will have some mental deficits including poor concentration and attention. When dementia and depression are present together, intellectual deterioration may be exaggerated in the depressed person. Depression, whether preset alone or in combination with dementia, can be reversed with proper treatment. It is one of the most undiagnosed conditions among seniors. A state of temporary but acute mental confusion that comes on suddenly. Symptoms may include: anxiety, disorientation, tremors, hallucinations, delusions, incoherence. Delirium can occur in older persons who have short term illnesses, heart of lung disease, long term infections, poor nutrition or hormone disorders. Alcohol or drugs may also cause confusion. Delirium may be life threatening and requires immediate medical attention. A social worker or other health care professional who assists hospital patients and their families in transitioning from the hospital to another level of care such as rehabilitation in a skilled nursing facility, home health care in the patient's home, or long term care in a nursing home. Medical equipment that is ordered by a doctor for home use. These items must be reusable, such as walkers, wheelchairs, or hospital beds. A power of attorney that stays in effect even after the person who the document represents becomes incompetent. Elder abuse is the mistreatment and/or harm to an elderly person by someone in a position of trust - a family member, spouse, friend, neighbor or caregiver. A wide range of services provided at home, in the community and in residential care facilities, including assisted living facilities and nursing homes. It includes health related services such as rehabilitative therapies, skilled nursing, and palliative care, as well as supervision and a wide range of supportive personal care and social services. Typically, elder care is provided over an extended period of time to people who need another person's assistance to perform normal activities of daily living because of cognitive impairment or loss of muscular strength or control. Elder care attorneys specialize in the needs of the elderly and disabled with the goal of protecting the autonomy, quality of life and financial security of seniors as they age. Allows for 24 hour monitoring and response to medical or other emergencies. All of a person's assets and debts at the time of his or her death. Steps one takes while living to determine what happens to property at death. A tax levied on a person's estate after the person's death. A health condition, situation, item, service or expense that an insurance policy does not cover. An HMO that has met certain standards established by the federal government pertaining to quality of care, financial soundness, member services and similar criteria. Method of payment under which providers are paid for each service performed. Someone, such as a trustee or guardian, who holds the assets of another person, often with the legal authority and duty to make decisions regarding financial matters on behalf of the other party. Frailty is a state of weakness, especially from old age. A physician who specializes in the care of the elderly, primarily those who are frail a have complex medical and social problems. Geriatric care management involves the planning and coordination of care for the elderly and disabled, with the goal of maintaining their independence for as long as possible and to improve their quality of life. A person who is appointed by a court and charged with the legal duty to care for another person who is unable to care for himself or herself. Similar to a conservatorship, yet severely restricts the legal rights of an elder based on a court's fining of legal incompetence. The physical assistance of another person without whom the person needing assistance would be unable to perform an activity of daily living. Allows a designated representative to decide on the health care of an incompetent person. A health plan that both pays for and provides - or arranges to provide - access to comprehensive medical services. HMOs are reimbursed for services on a fixed monthly basis. A term meaning one is normally unable to leave home or cannot leave home without considerable a taxing effort. A person may leave home for medical treatment or short, infrequent absences for nonmedical reasons such as trip to the barber. An organization that provides home care services, including skilled nursing, physical therapy, occupational therapy, speech therapy and care by home health aides. A home health aide provides services that support services provided by a nurse. This includes help with personal care such as bathing, using the toilet or dressing. These types of services do not require the skills of a licensed nurse. Medical and social programs for terminally ill patients and families either at home or in a facility. This includes physical care and counseling and support services but does not attempt to cure any illness. Huntington's Disease is an inherited, degenerative brain disease which affects the mind and body. It currently affects more than 25,000 Americans. It usually begins during midlife and is characterized by intellectual decline and irregular and involuntary movements of the limbs or facial muscles. Other symptoms of Huntington's Disease include: personality change, memory disturbance, slurred speech, impaired judgment, psychiatric problems. Although there is no treatment available to stop the progression of the disease, the movement disorders and psychiatric symptoms can be controlled by drugs. An inability that can be mental or physical, temporary or permanent. A person can be incapacitated without being incompetent. Requires a legal declaration of being found incapable of handling assets and exercising certain legal rights. The inability to control urination, bowel movements, or both. An association of independent physicians that provide services in a private office setting to HMO members on a negotiated per capita rate, flat retainer fee, or negotiated fee-for-service basis. A trust that, once executed, cannot be revoked or changed without the consent of the beneficiary. These are tasks that, in addition to ADLs, one must be able to perform in order to live independently (without the assistance or substantial supervision of another person. Most long term care insurance policies will not pay benefits solely for the loss of ability to perform IADLs. Examples include: grocery shopping, meal preparation, using the telephone, laundry, light housekeeping, bill paying, managing medications. Skilled nursing and home health aide services provided for up to 28 hours per week, any number of days per week, so long as they are less than 8 hours per day. When appropriate, a round-the-clock homemaker can be placed in the home for long or short term care needs. This live-in services is perfect when a primary caregiver needs to be away so peace of mind is created for all involved in care. A trust created during someone's lifetime to hold assets during that person's lifetime, thereby removing those assets from probate at death. A living trust can be either revocable or irrevocable. It avoids probate and therefore gets assets distributed significantly faster than a will. Assets that a person wants to move to a living trust, such as real estate and bank or brokerage accounts must be retitled so that the trust becomes the owner. A legal document that makes known a person's wishes regarding medical treatments at the end of life. A variety of services provided over an extended period of time to people who need help to perform normal activities of daily living because of cognitive impairment or loss of muscular strength or control. Care may include rehabilitative therapies, skilled nursing and palliative care, as well as supervision and wide range of supportive personal care and social services. Long term care can be provided at home, in the community, or in various types of facilities including nursing homes and assisted living facilities. Regardless of where it is provided, most long term care is custodial care. Institutions that provide nursing care to people who are unable to care for themselves and who may have health problems ranging from minor to serious. These facilities are often used for short term rehabilitation after hospitalization. Long term care insurance is private insurance designed to cover long term care costs. Plans vary widely and it is wise to do some research before purchasing any long term care policy. Generally, only relatively healthy people may purchase long term care insurance. A method of delivering and paying for health care through a network of providers that is a combination of insurance and a health care delivery system. Managed care seeks to ensure the quality and contain the cost of comprehensive medical care, the basic goal of which is to coordinate all health care services received to maximize benefits and minimize costs. Managed care plans use their own network of health care providers and a system of prior approval from a primary care doctor in order to achieve this goal. Managed care plans include HMOs, preferred provider organizations, point of service plans and similar coordinated care networks. Medically necessary refers to services or supplies that: are proper and needed for diagnosis or treatment of a medical condition; are provided for the diagnosis, direct care and treatment of a medical condition; meet the standards of good medical practice in the medical community of one's local area; are not mainly for the convenience of the beneficiary or his/her doctor. Medical social services help with social and emotional concerns one may have related to one's illness. This might include counseling or help in finding community resources. Federal program providing health care coverage/insurance for people over 65 years of age, certain younger people with disabilities and people End-age Renal Disease (ERSD) (permanent kidney failure that must be treated with dialysis or a transplant). Part A covers inpatient care, skilled nursing facility, hospice and sort term health care. Part B covers doctors' services, outpatient hospital care and durable medical equipment. It does not provide for long term care. This is private insurance that pays Medicare's deductibles and co-insurances and may cover services not covered by Medicare. Most Medigap plans will help pay for skilled nursing care, but only when that care is covered by Medicare. A Medigap policy is the most common way that a health insurance policy helps one pay for some nursing home costs. A Medigap policy pays for the "gaps," or co-insurance, left by Medicare such as the co-pay owed for days 21 through 100 of a Medicare Benefit period. Multi-Infarct Dementia, or vascular dementia, is a deterioration of mental capabilities caused by multiple strokes (infarcts) of the brain. These strokes may damage areas of the brain responsible for a specific function and may produce generalized symptoms of dementia. the doctors, clinics, health centers, medical group practices, hospitals and other providers that an HMO or other managed care plan employs or contracts with to care for its members. An inability to ambulate, walk around, and usually requires the patient to be bedridden or hospitalized. A nurse registry serves as an employment agency, providing home care and/or healthcare workers who are independent contractors and not direct employees. A nursing home is a residence that provides room, meals, recreational activities, help with daily living and protective supervision to residents. Generally, nursing home residents have physical or mental impairments which keep them from living independently. Nursing homes are certified to provide different levels of care, from custodial to skilled nursing (service that can only be administered by a trained professional). One step below hospital acute care, a nursing home provides regular medical supervision and rehabilitation therapy. Observing older adults performance in three IALD domains. Adherence to medication, use of the telephone, self feeding and preparing hot foods are among the most important tasks for independent living for older adults. Occupational therapy helps one to perform daily activities independently. An occupational therapy patient might learn new ways to eat, put on clothes, comb one's hair and new way to do other usual daily activities. Independent, nationwide, federally-funded services that work to resolve problems between residents and assisted living facilities, nursing homes and other residential care facilities. Nationwide, there are more than 500 local ombudsman programs. Ombudsmen visit nursing home on a regular basis. The ombudsman's job is to investigate complaints, advocate for residents and mediate disputes. Ombudsmen often have excellent knowledge about the quality of life and care inside each nursing home in their areas. A one month period during which employees can enroll in or switch health plans. An option available in some types of managed care networks, such as point of service plans, in which members can seek treatment from providers outside the network and pay more to do so. Costs for medical services not covered by an insurer or an HMO. Unlike persons with conventional insurance, HMO members incur minimal out-of-pocket costs. Palliative care is any treatment or medical care focused on reducing symptoms of a disease, rather than curing the disease itself. The goal is to improve the quality of life for those with serious, complex illnesses. A trained aide who assists a professional person. Specialized transportation, such as a wheelchair accessible van, for seniors and other people with disabilities. These services may offer transportation to senior centers, medical care, shopping malls or specific appointments. Parkinson's disease is a progressive disorder of the central nervous system which affects more than one million Americans. Individuals with parkinson's disease lack a substance called dopamine, which is important in the central nervous system's control of muscle activity. Parkinson's disease is often characterized by tremors, stiffness in limbs and joints, speech impediments, difficulty in initiating physical movement. Late in the course of the disease, some individuals develop dementia and eventually Alzheimer's disease. Medications such as levodopa, which prevents degeneration of dopamine, are used to improve diminished motor symptoms in Parkinson's patients but do not correct the mental changes that it causes. An electronic device that enable the user to contact help 24 hours a day simply by pressing a button. Process that includes individualized programs of exercise to improve physical mobility, often administered following a stroke, fall or accident. Physical therapists plan and administer prescribed physical therapy treatment programs to help restore function and strength. A rehabilitation professional who utilizes various therapies to help people maximize mobility and restore strength and body movement after an illness or injury such as a stroke, fall, back injury, etc. A written plan that describes the services and care needed for a health problem or for in-home services for chronically ill.
A written legal document in which one person (the principal) appoints another person to manage the principal's financial affairs. A written legal document in which one person (the principal) appoints another person to make health care decisions on behalf of the principal in the event the principal becomes incapacitated (the document defines incapacitation). A doctor trained to give basic care. A primary care physician is the one seen first for most health problems. He or she may also talk with more specialized doctors and healthcare providers and make referrals. In many Medicare managed care plans, a primary care physician must be seen first before seeing other healthcare providers. Services performed by a range of in-home care personnel from non-medical to skilled and for which the patient or client normally pays out of pocket. Private duty care is sometimes covered by long term care insurance, some Veterans programs or workers' compensation insurance. A properly licensed doctor, health care professional, hospital or other health care facility (including a home health agency) that provides health care or related social services. A policy that conforms to federal law and, as a result, offers potential federal tax advantages for some people. Sometimes referred to as a Tax Qualified Long Term Care Insurance Policy. Defined by federal law, lese are necessary diagnostic, preventive, therapeutic, curing, treating, mitigating, and rehabilitative. This also includes maintenance or personal care services that are required by a chronically ill individual and are provided pursuant to a plan of care prescribed by a licensed health care practitioner. Maintenance or personal care services includes any care of which the primary purpose is to provide assistance with any disabilities that affect the chronically ill individual (including the protection from threats to health and safety due to severe cognitive impairment). Graduate trained nurse who has both passed a state board examination and is licensed by a state agency to practice nursing. Respiratory therapy consists of exercises and/or treatments that are designed to help patients regain lung function. Temporary or periodic care provided by a third party for people with disabilities, illnesses, dementia or other health problems while their usual caregivers take an occasional break from their caregiving responsibilities. Respite care can be provided at home, in the community (e.g. adult day care centers or special respite programs) or overnight in a facility. Retrofitting is the adapting of one's home to improve accessibility and make the home safer and more easily used by the elderly and disabled. A reverse mortgage is a loan provided to the elderly to distribute the home equity of the property in one lump sum (or multiple payments). The loan does not need to be repaid until the homeowner dies or leaves (e.g. into a nursing home), or the home is sold. The sandwich generation is defined as those who are caring for their elderly parents while still caring for their children. Self-help communities or villages assist the elderly in maintaining independence and dignity by providing case management, senior services and home care in senior centers, housing complexes, etc. A silver alert is a method of creating a wide-spread lookout for an elderly who has wandered from their surroundings, similar to the Amber alert which is used for missing children. 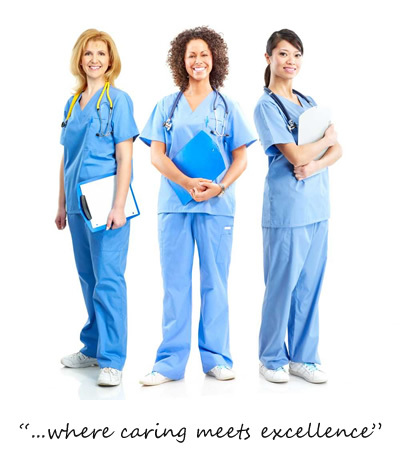 Skilled care that must be given or supervised by Registered Nurses. Examples of skilled nursing care are intravenous injections, tube feeding and changing sterile dressing on a wound. Any services that could be safely done by an average non-medical person without the supervision of a Registered Nurse is not considered skilled care. A nursing facility, such as a nursing home or a special unit inside a hospital that has been certified by Medicare with the staff and equipment to give skilled nursing care and/or skilled rehabilitation services in addition to other related health services. A rehabilitation professional that provides therapy to overcome speech and communication problems, such as speech difficulties following a stroke. A speech therapist may also provide assistance for managing swallowing problems. Speech therapy involves the treatment of speech or communication disorders. The approach used depends on the disorder. Physical exercises designed to improve muscle strength and speech practice to improve clarity are two examples of speech therapy techniques. A requirement that an individual use up most of his or her income and assets to meet Medicaid eligibility requirements. The presence of another person, within arm's reach, to prevent, by physical intervention, injury to someone needing assistance while they are performing an activity of daily living (such as being ready to catch them if they fall while getting into or out of the bathtub or shower, or being ready to remove food from their throat if they choke). A stroke is the sudden death of a number of brain cells as result of lack of oxygen cause by the blockage or rupture of an artery leading to the brain.